Playful and fun - this beautiful bag will turn heads! 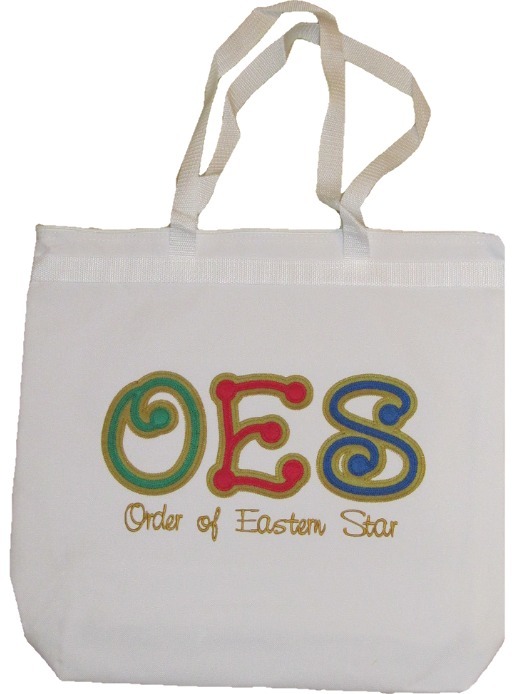 Colorful stitched-on twill letters dance across the front with "Order of Eastern Star" embroidered underneath. These bags zip close and measure 18" wide x 16" tall x 6" deep.